Your home is apparently one of the greatest sources of pride in your life. If you are the typical homeowner, you probably do not have many large investments in your life, which may make your home the largest investment you have ever made. With this, you probably take great care in the appearance of your home and also in protecting your home from damage. Hiring the right person to provide the necessary services around the house can be very important to maintaining an attractive and functioning home. Too often is the quality of workmanship overlooked. Many companies will provide adequate work for their clients, but homeowners should not settle for mediocrity when it comes to their home. A good home painting contractor can mean the difference between an attractive home and an ugly house. 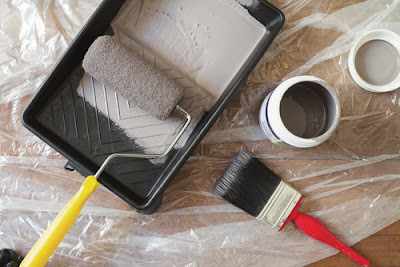 If the house has a good paint job, it can bring the rest of the house together so much better than if the paint job is sloppy and the paint seems to be slapped on, or the job appears to have been rushed. Poor contractors can frustrate homeowners and make the project seem much longer than it is. It can even delay the completion of the project. When a homeowner expects the project to be completed in a certain amount of time, and it is not, it can be the most annoying thing in the world. Homeowners do not deserve that kind of treatment and should not stand for it. Good contractors do exist if homeowners take the time to find them. By doing a little bit of research, homeowners can acquire the proper information required to hire the right home painting contractor. Having these motivated, talented painters will make the process go much more smoothly. A good home painting contractor can be defined as one that cares about more than money. Money is obviously important, as house painting is how they make their living, but it is not the only reason they do the job. A good house painting contractor will consider the needs and desires of the homeowner when painting the home. After all, it is the homeowner's house and their project, so the contractor should pay close attention to their wishes. Many contractors do not take this attitude into the job, unfortunately. This negative attitude often starts up top and trickles down to the painters so that they do not care either, which can be the dagger in the project. 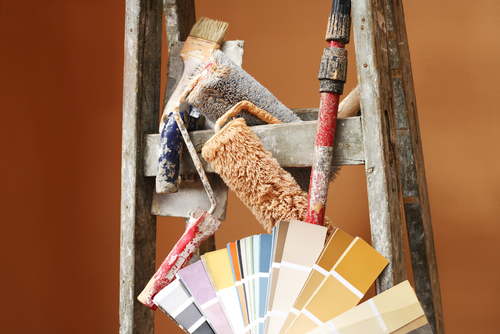 With lazy, unmotivated painters, homeowners will find that their house is not the beautiful home they had pictured. Avoiding this should be the top priority of every homeowner looking to remodel their home. A house painting contractor with good intentions will take the time to understand the vision the homeowner has for their home. This way, they can get the job done in a way that will be satisfying for the homeowner. With a caring attitude, these contractors will build good reputations in the community. The best way to decide on a good contractor is to check out their reputation and work history either on the Internet or by asking around the neighborhood or community. Poor contractors will usually gain a negative reputation as time goes by. Unfortunately, they can continue to get work because many homeowners do not check into their reputation before hiring them. So use these resources before making the hire. They are there just waiting to be utilized. When homeowners hire a professional to help with their home improvement projects, they often feel satisfied with their decision and the outcome of the project. Hiring a professional will help to ensure things move forward and delays are minimal if present at all. 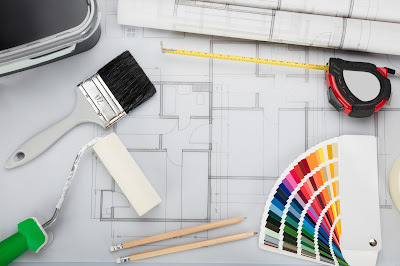 With the help of a contractor, homeowners can accomplish the most complicated and complex home improvement endeavors and will notice that remodeling has never been easier. When the time comes around for home painting, homeowners should do the smart thing and hire somebody who has been properly trained in the field and knows how to best complete the project. The training and experience a home painting contractor brings are unparalleled by the work of an amateur or the work of the homeowner him or herself. Hiring a professional will provide worlds of advantages and benefits that the homeowner will notice as they move through the project. When they can complete a project with little to no delays, they will surely be happy with their decision and hire a contractor in the future for their home repairs and improvement needs. What is most important to remember when remodeling is how important home painting can be to the overall success of the project. When everything is moving forward, and all projects are coming together, the success of the remodeling endeavor will be at its highest and greatest value. Hiring an amateur to do the work often ends in disappointment, as they are not trained in dealing with problems as they arise and may not understand how to best cope with the stress challenges that painting can bring to the table. For this reason, it is almost always a good idea to hire a professional contractor to help with projects. Homeowners may have little success with the project if they do it themselves as well. They often stumble through the project, and the job suffers dearly as a result. Being able to truly take pride in their home is a great feeling for homeowners looking for the most out of their home improvement projects. Home painting is a key element in ensuring that the house is looking its very best. When the house is painted well, the rest of the project will come together nicely. If the house is poorly painted, the rest of the projects will not look their best and may even be for nothing, as the overall appearance of the house will take a significant blow if the house is not painted successfully. Ensuring that home painting is in excellent hands is important, so hiring a professional is the best thing to do for a project. So when it comes time to hire somebody to help with the painting, hiring a professional is a great way to get things done properly and on time. Completing a project effectively and efficiently is the name of the game for these contractors, and they will always provide excellent work to their clients if communication is given a priority and the project is well-planned. Ensuring the success of the painting project is essential in ensuring the success of other home improvement projects.